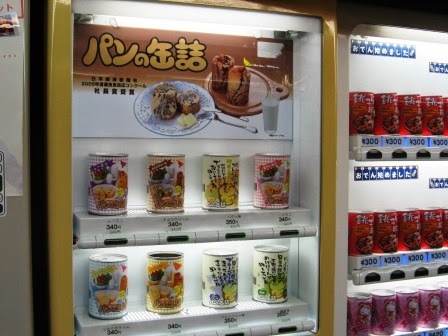 Vending machines (自動販売機； じどうはんばいき), or just 自販機 （じはんき） for short, are a convenient way to grab a small snack or a quick drink to keep you going throughout your day, but in Japan vending machines are on a entirely different level– you can get a variety of things that you probably would had never imagined to be in a vending machine. You can of course get snacks you wouldn’t normally find like tuna mayo Doritos (and a plethora of other fun flavors), or maybe some canned bread. …though strangely I might prefer my bread un-canned. Leave your house without your umbrella and it’s going to rain? 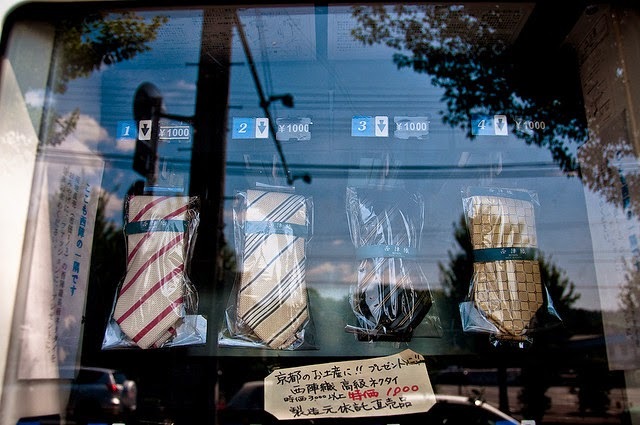 Just grab one from a vending machine. Notice you have something on your tie right before work? No problem if you have one of these on the way. I personally don’t like going grocery shopping, so for those like me, this provides a convenient way to quickly pick up some items instead of having to go to a store and wait in a potentially long line. 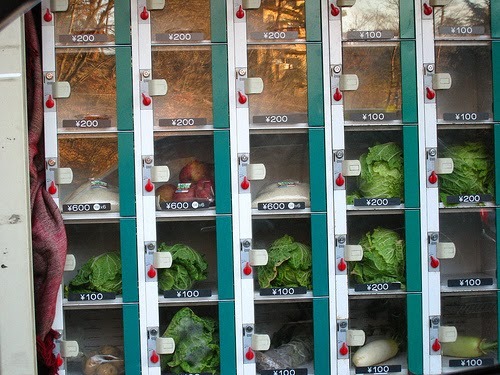 And for those times when you don’t feel like cooking or spending much money on a meal, 自動販売機！ If you were near a vending machine that had 肉まん, 焼きそば and たこ焼き, could you resist them for less than 4 bucks each? 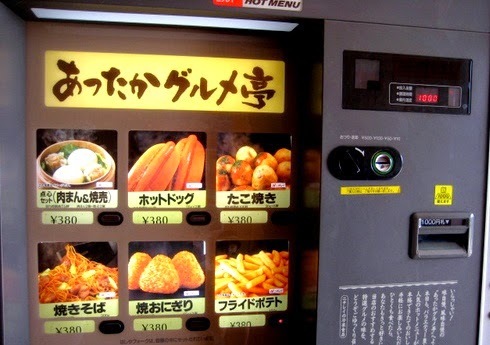 I’ve only really come across hot food vending machines in America, primarily pizza or french fries. 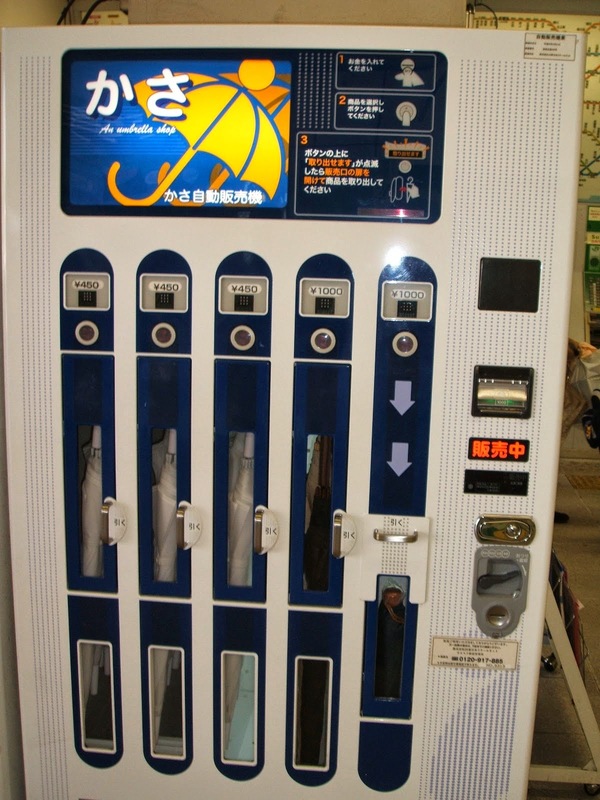 Have you come across any out of the ordinary vending machines where you live?